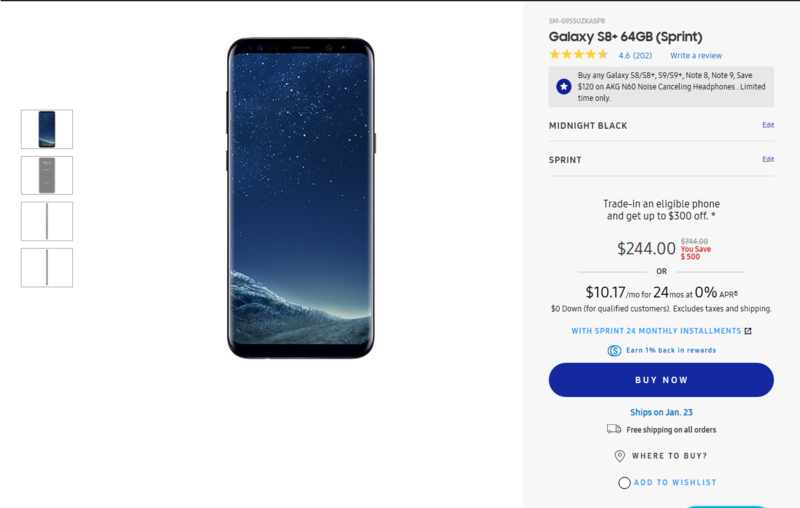 The Sprint Galaxy S8+ is now sold out on Samsung's website. If you're a Sprint customer, you can now get Samsung's 2017 flagship for a great price. The Sprint version of the 64GB Galaxy S8+ is now just $244 from Samsung.com. That's a $500 reduction from the original price, and $256 cheaper than the unlocked US version. 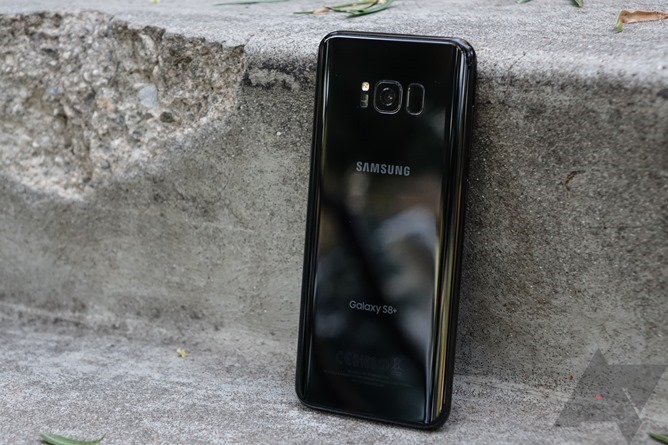 The Galaxy S8+ is equipped with a Snapdragon 835 processor, 4GB RAM, 64GB storage (with microSD card support), a 6.2-inch 1440p screen, a USB Type-C port for charging, and a headphone jack. The rear camera is 12MP, and the front camera is 8MP. The S8+ shipped with Android 7.0 Nougat, but it received Oreo a year ago, and Pie should arrive in the next few months. The Sprint model obviously only works on Sprint, but once you use it on the network for a while, the carrier should be able to unlock it for you. You can buy it from the link below.